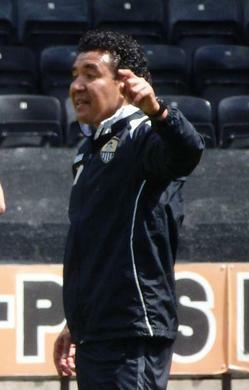 A season at Notts County is never uneventful and this year was no different! Having spent 6 minutes in the bottom four on the final day o the previous and having to rely on an Alan Sheenan penalty to save us, there was renewed optism for the start of the 2014 / 2015 campaign. Despite the passion of Shaun Derry and the experience of Greg Abbott, there was some serious rebuilding to be done in the summer. Alan Sheenan, Gary Liddle and Jamal Campbell Ryce (who returned later on loan) all went to pastures new as Jeff Hughes had the previous term. Some were quick to point out there were few funds to tempt them to stay. However the manager, having not been long out of playing himself for Queen's Park Rangers), had his trusty address book to call upon and it wasn't long before some old friends came calling. Two names in particular attracted attention; international keeper Roy Carroll and ex Leeds and Manchester United midfielder Alan Smith (who came also as a coach). Gary Jones and Gary Thompson also came in whilst Hayden Mullins joined permanently after his loan spell last season. With Jimmy Spencer and Ronan Murray (who had worked so well together the previous season) up front and Hayden Hollis being promoted to the number 6 shirt, the season started brightly. However, luck never seems to shine on Notts and in a pre-season friendly at Arnold Jimmy Spencer was injured and missed the best part of the campaign. Mike Edwards, however, did come through and returned as back up defender and also became part of the back room staff alongside Kevin Pilkington who, despite his work as kitman, never managed to hang up his own boots. It all started well enough, a 1-1 draw away at highly rated Preston was well recieved and despite losing the next 2 out of 4, two wins were gained in August. 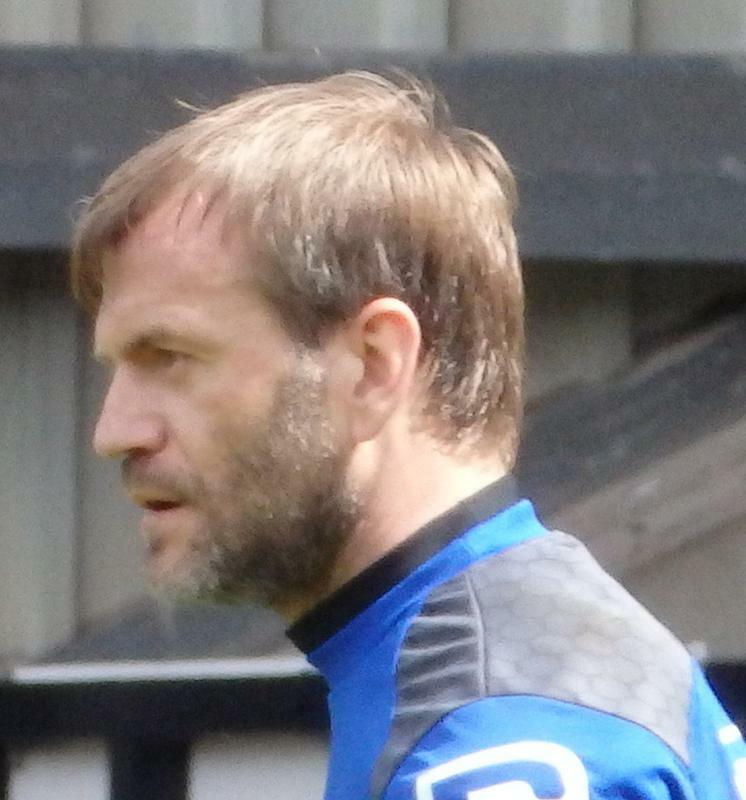 Roy Carroll already started to prove his worth and Gary Thompson began showing himself as a forward in the absence of Jimmy Spencer. Though September was full of draws, on the final Tuesday Notts began a little run to make themselves unbeaten in 9 games! One of these games included a 5-3 win against Crawley. Though Notts were hit by injuries to Hayden Mullins, the back line saw the arrival of Louis Laing from across the river as well as Stephen McLaughlin. Noble was offering some solid relief in midfield and the team was heading into November with whispers of a playoff place - unthinkable by the end of the season. Similarly remarkable was the fact they were unbeaten away until December ! Again though, as fans breathed the thinner air of the play-offs, the erratic form that is the lot of players and supporters alike began to kick in. November saw an indifferent run of results with a mixture of results not helped by injuries led to the start of a 'revolving door' policy with loanees appearing, only to be sidelined without a chance to prove themselves when the next replacement arrived. Two months later and the team looked unrecognisable to the one that started the season. The problems of relying on temporary signings was soon apparent. The young and often experienced replacements often weren't available until the end of the season. Neither were they always match fit. 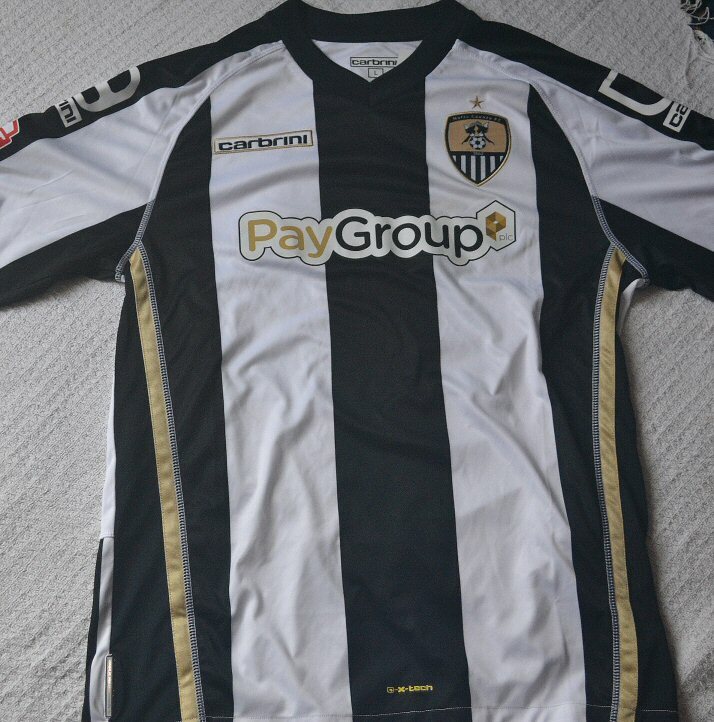 By the end of the season Notts had borrowed no less than 18 different players in which 12 were aged 21 or under. It proved a very bleak midwinter with the final 28 games yielding just just four wins. It was no surprise then, that talks of play-offs were gradually being replaced by the inevitable 'R' word. Even Jimmy Spencer, rushed back after injury was clearly not the performer of last season and the return of Jamal Campbell-Ryce was curtailed by injury. Liam Noble didn't help when he picked up a red card, ruling him out for three key games. One positive was Curtis Thompson. Just one of a number of youth player to gain a squad number (along with Greg Tempest, Colby Bishop, Fabian Spiess), he gained a stature over the course of this season. Looking lost at right back, Derry relocated him in centre midfield and it was no surpise he got young player of the year. His contribution, along with goals from Gary Thompson, the efforts of Gary Jones in midfield and veteran keeper Roy Carroll kept the team fighting but questions were being asked about Derry's decisions. Perhaps it wasn't a surprise then, when he was dismissed, even if the timing seemed a little premature.With just 9 games to go, he was shown the door after a predictable 4-1 defeat to MK Dons who were, to bbe fair, in impressive form under Karl Robinson. The departure seemed to even startle the administration and Paul Hart stepped up to fill the void left whilst Ray Trew chased abroad to find the unknown Ricardo Moniz. Although he came with a wealth of experience it was mostly at teams like Ferencvaros that hardly seemed suitable for the hardships of the English lower leagues. After initial reluctance from the Dutchmen, he duly appeared and stalwart Dave Kevan, who had supported the club so well in the Championship winning season, returned in support. However, despite inspiring a real fight against Doncaster on the pemulinate game of the season, the two could only watch as the fightback unravelled in the final three minutes of the season at Gillingham. After a short stop in the third tier, the Pies were down. Roy Carroll, Northern Ireland and Notts County. The veteran shot-stopper played a crucial part in Notts' campaign and deserved the support of the County faithful. His form disrupted the Notts career of the promising Fabian Speiss, a talented young German keeper who, notwithstanding an impressive debut, was unable to establish his claim to the number 1 jersey and departed, the following season, to Torquay. Ricardo Monez - an unusual choice as manager even by County's standards but his player's practicing of set pieces whilst he fouled them would have been reassuring to fans who thought he wouldn't be able to handle the physical demands of the English lower leagues.